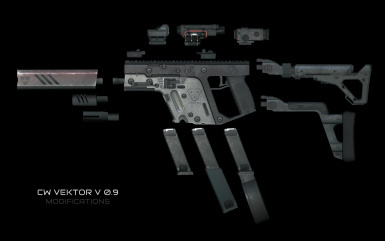 Weapon system based on the Vector SMG, including custom models, two textures sets and sounds. 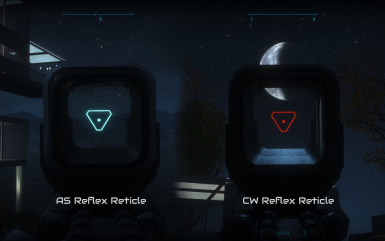 - Fixed Rifle/Recoil stock incorrect mesh name. 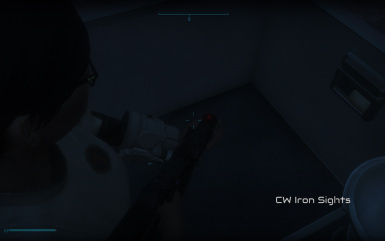 Game was looking for a model that wasn't there causing CTD when dropping or equipping a follower with the Vektor. If bug continues, please post in comments. - Please post in the comments if you encounter any bugs. 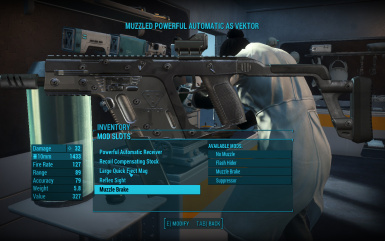 This mod adds the Advanced Systems Vektor custom weapon system to Fallout 4. 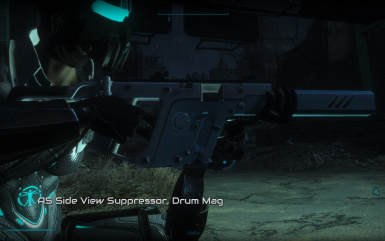 Based on the Vector Kriss Polymer SMG, it's a compact close to medium range weapon. 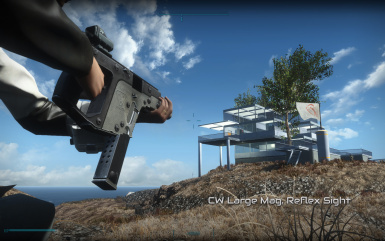 It's not a heavy hitter, but is quick with an advanced recoil system noticeable especially in fully automatic mode. 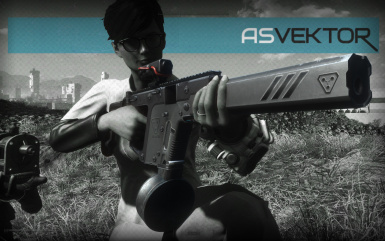 The Vektor uses 10mm ammunition, with a .45 conversion available at a bench. It's mostly up-gradable with the mods listed below. RECEIVERS: All vanilla options, including .45 conversion. 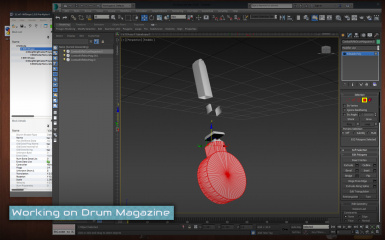 MAGAZINES: Standard, Large and Drum magazines in both normal and quick eject forms. MUZZLES: Flash Hider, Muzzle Break, and Suppressor. 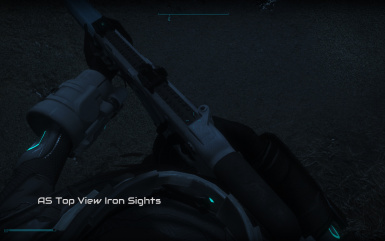 SCOPES: Standard Iron Sights, Reflex, Recon, Standard Short and Nightvision Scopes. GRIPS: Standard, Recoil Compensating (same model as Standard) and Tactical Marksman Stocks. I have several more in the works including barrels and front attachments for bottom rail. They'll be added in future updates. 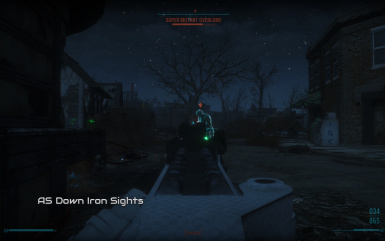 As of Version .90 you can choose to download the Institute version, or Wasteland version. Install with your favorite Mod Manager. 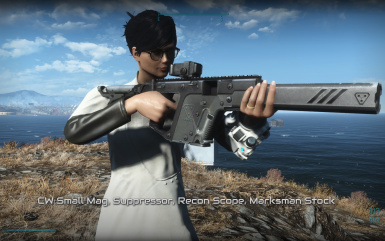 The Commonwealth version is sold by the following weapon dealers. 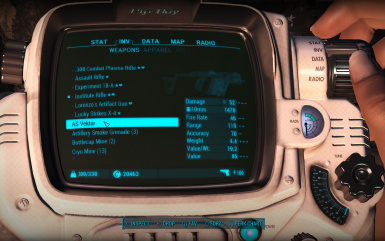 The Institute version is sold by the friendly Requisition Vendor. 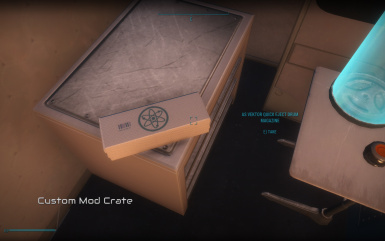 player.additem XXXXXXXX 1 where X is the item ID. This took me weeks, and am releasing it before I'd like to, but I haven't actually played FO4 in a long time. 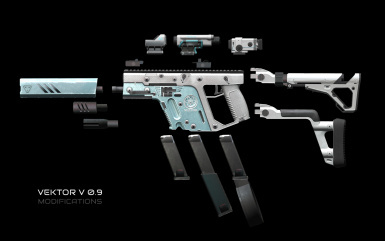 The biggest thing not included in the initial release is the pistol version. The pistol functions with 10mm animations, but I'm leaving it out due to mag positioning problems and animations not making much sense. 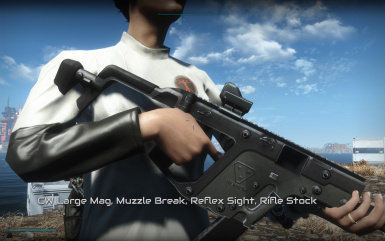 the actual rifle grip is a little off. I tried to split he difference between the grip/trigger and front hand grip. With new animations or barrels including in future updates, this should be less noticeable and/or not an issue. Both stocks clip with the right shoulder. I should be able to fix this in the next update. After uploading the files to Nexus and playing a bit, I noticed the trigger is positioned wrong. Will fix in next update. I'll probably upload a version with both mod texture sets in one, for people who won't mind the file size. Any suggestions, comments, critiques, etc, are welcome in the comment section. Please post if you encounter any bugs, or notice anything spectacular missing. I've tried to balance the stats, but I'm sure I missed something or perhaps something is too powerful. Please let me know if any tweaks are needed. This was created with Audacity, Photoshop, 3DS Max, Nifskope, Material Editor, and FO4Edit.